Intentional Interim Ministry training is a three-phase event led by two experienced trainers for up to twenty participants. Phase I begins with a four-day gathering to introduce concepts, tools and techniques used in short-term, intentional, pastoral leadership. A thirty-day interval follows during which participants will obtain and review the General Board of Global Ministries “Church Profile” and “Neighborhood Profile” pertaining to their current appointments as well as complete a Birkman© questionnaire. The participants return to their ministry settings for a six month mentored practicum during which they will initiate the assessment process and program changes required by the Discipline. They will write about two of their experiences, at least, in CPR form. During Phase III, each participant presents two CPRs for group analysis and discussion. Candidates for IIM training must be recommended by bishops or superintendents before enrollment and Districts or Annual Conferences are encouraged to underwrite the cost of this training to demonstrate support of those willing to serve in this specialized ministry. Whether you are interested in serving as an intentional interim in the future, or you would like to improve your skills in transitional needs – conflict, grief, needs assessment in your current setting, this seminar covers important topics for the health and vitality of the congregation. The Texas Conference Intentional Interim Ministry training program exceeds the standards set by the Transitional/Intentional Interim Ministry Specialists Association. 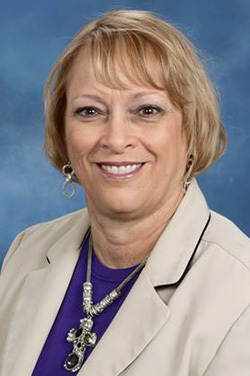 Reverend Bonnie Osteen is an ordained elder and has served as a pastor for six churches and once as an associate pastor for the Texas Conference, where she is a member. She completed her T.I.I.M.S. training in 2010 and was granted the Ecclesiastical Approval by GBHEM in 2012. Since then, she has served an additional six congregations as an intentional interim minister. Rev. Osteen specializes in identification of the stress and anxiousness in a system and offering conflict management. In 2015, Rev. Osteen was appointed as the Director of Intentional Interim Ministry in the Texas Conference. She is passionate about helping congregations and pastors through transitional changes in a positive direction. The Reverend Doctor Suzan Orr Carter was the first Director of Intentional Interim Ministry (IIM) for the Texas Annual Conference of the United Methodist Church. An ordained elder (now retired), Dr. Carter recruits and trains clergy to serve as Intentional Interim Ministers (IIMs), promotes IIM across the denomination and serves, when needed, as an interim pastor. Dr. Carter is a UMEA (United Methodist Endorsing Agency) Approved Intentional Interim Minister and the first UMEA Endorsed Trainerof United Methodist Interim Ministers. Passionate about helping congregations in need, Dr. Carter lectures and conducts workshops for clergy and congregations seeking to Gear Up to Greatness©. She is trained Bridge-Builder© and a Healthy Congregations© facilitator. Using a coach-approach to ministry, she assists congregations and clergy to identify their unique gifts for ministry, organize themselves for mission and step out in faith.